Warner Bros. animated characters have a long history of invading pop culture through television, from popularizing classical compositions to creating mainstream hits that stand the test of time. ToyQube has teamed up with Soap Studio to invite a handful of artists – including Eric So, Kenny Wong and Tik Ka – to reimagine WB’s iconic Looney Tunes characters through their own unique lenses in a new series of vinyl figures entitled “Get Animated.” Check out the next two vinyl figures in this exciting collection, Wile E. Coyote and Road Runner by Pucky! With a childhood divided between Hong Kong and Canada, Pucky grew up between two cultures, which prompted her to explore creatively the value of identity and the meaning of belonging. 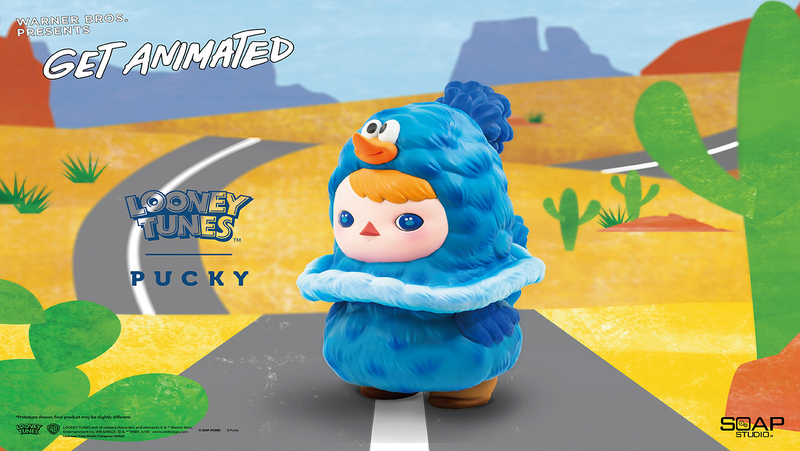 Pucky's work is a combination of cute and dark, showing an integrated harmony where opposites like good and evil or love and fear, co-exist. She is deeply inspired by the wonders and mysteries of the world and her drawings are strongly affected by the beauty of their history, science and the romance. 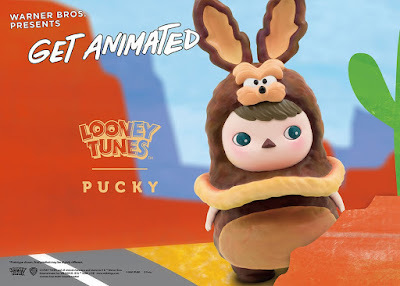 Each “Get Animated” Looney Tunes Wile E. Coyote and Road Runner Vinyl Figure by Pucky stands 8” tall and can be purchased now at the ToyQube online store for $145. Labels: Cartoons, Designer Toys, Looney Tunes, Pucky, Soap Studio, ToyQube, Vinyl Figures, Warner Bros.